The provision, at individual shipment level, of declared value coverage above Standard Liability for the amount necessary to repair or replace a shipment in the event of physical loss or damage. Percentage of replacement / declared value with: £18.00 or 3% of stated shipment value if higher. A variable percentage surcharge, derived from a publicly available jet fuel index or diesel fuel index, which is applied to the weight charge, Service Premiums and all Surcharges and Optional Service charges. Weight (Amount Per Kg), Min Amount Per Shipment: £0.38 per kg, subject to a minimum charge of £19.00 per shipment. A surcharge applies for each shipment consigned with non-electronic, paper based manual house waybills not entered onto our online booking facility/with a pre alert manifest sent prior to shipment arrival or without EDI transmitted information being received prior to arrival. Login information is available on request. A Fixed surcharge is applied to any shipment that has an incorrect delivery address at the time of pickup and the delivery cannot be fulfilled after making efforts at the destination to determine the correct address. This fixed surcharge applies to every piece, including a pallet, that exceeds the scale weight of 70kg or with a single dimension in excess of 120cm. The Oversize Piece surcharge applies to domestic and international shipments. The handling and transportation of substances and commodities classified as Full Dangerous Goods either on our suppliers air or road network or on commercial airlines. Comprises Full IATA Dangerous Goods to the limits of ADR (Accord Dangerous Routier) Limited Quantities (LQ). You may send a maximum of 4 items containing a battery per consignment, each item containing a battery and must be contained within the item (phone/Laptop)they are intended to power and packed in the original box. A Maximum of 2 boxes per consignment each containing 2x separately boxed items containing lithium batteries allowed. Please check with dg@impactexpress.co.uk to confirm packing instructions and country regulations prior to booking. You may send more than 4 items containing a battery but they must still be contained within the item (phone/Laptop)they are intended to power and packed in the original box. They can be packed all within one or more box per consignment. Please check with dg@impactexpress.co.uk to confirm packing instructions and country regulations prior to booking. The handling and transportation of shipments containing Lithium Ion or Lithium Metal batteries compliant with the appropriate IATA Packing instructions (PI966 or 969) either on our suppliers air or road networks or on commercial airlines. The handling and transportation of shipments containing loose Lithium Ion Batteries compliant with the appropriate IATA Packing Instructions (PI965) on the DHL air network. The handling and transportation of substances and commodities classified as Excepted Quantities in accordance with the IATA Dangerous Goods Regulations (DGR) and permitted on passenger aircrafts or in accordance with ADR (Accord Dangerous Routier) when transported by road. The ground handling and transportation of substances and commodities classified as Limited Quantities to the limits of ADR (Accord Dangerous Routier) that are prohibited for air transportation. The provision, handling and transportation of Dry Ice (UN1845) used as a cooling agent for non-dangerous goods on either the DHL air or road network or on commercial airlines. Can include replenishment during transit. Covers the exceptional handling required to service destinations that are subject to trade restrictions imposed by the United Nations Security Council. The charge applies to outbound non document shipments to Central Africa, Ivory Coast, Dem Rep of Congo, Eritrea, Iran, Iraq, North Korea, Libya, Somalia, South Sudan*, Syria* and Yemen. * Both Charges will apply Per Shipment. Covers additional security measures for handling outbound and inboud shipments in countries that are in continuous threat of war, civil unrest or threats of terrorism. The charge is currently in place for outbound, inbound and 3rd country for Afghanistan*, Burundi, Iraq*, Libya, Syria*, Mali, Niger and Yemen. 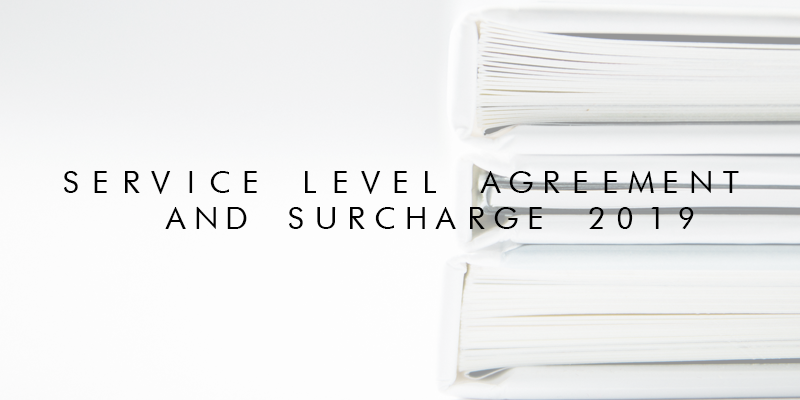 Exporter Validation surcharges apply when shipping to a country that is subject to trade restrictions imposed by national legislation such as the EEAS or OFAC. The charge is for outbound non-docs only to: Afghanistan*, South Sudan, Belarus, Myanmar, Zimbabwe and Lebanon.